What must the business case include to ensure credibility? Accuracy? How do I include benefits besides cost savings and increased sales? What does a complete business case look like? The latest edition of the Business Case Guide provides clear, concrete answers to questions like these and dozens of others. Written with the depth and detail that finance and planning professionals require, the Guide is also rich in practical help and examples for those with little or no background in those areas. 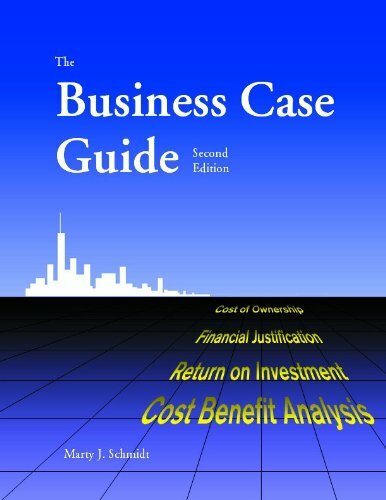 The Guide has been recognized as a vital resource for those who build the business case since 1999 when the first edition appeared. Illustrations and step by step guidance are designed to get you started immediately and finished as quickly as possible. See the Table of Contenst and excerpt from Chapter 1 for an overview. This new edition also clarifies important differences between cases for businesses, non-profit organizations, educational institutions, and government and military organizations. If you have any questions about this product by Marty J Schmidt, contact us by completing and submitting the form below. If you are looking for a specif part number, please include it with your message.